Remember the disastrous Fyre Festival in which rich people were lured to the Bahamas for a luxury music festival and instead were trapped there to eat cheese slices in styrofoam and fight off wild dogs? Hell yeah you do! And now I know you’ll be wishing you went to that absolute failure of a festival. 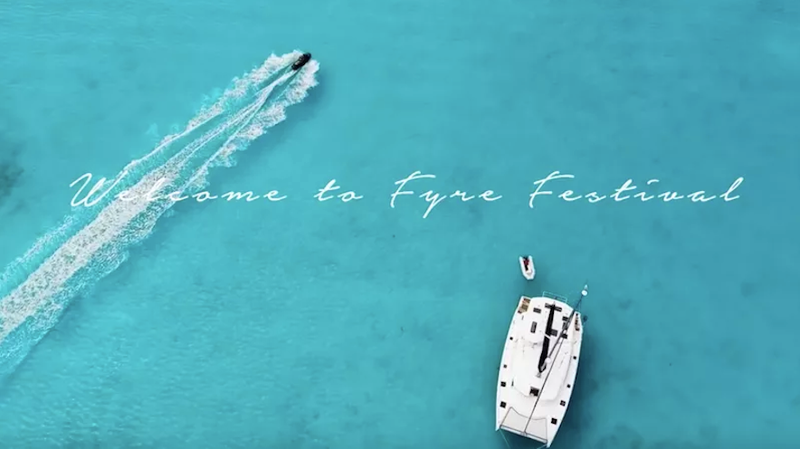 Unsurprisingly, numerous people who attended the festival decided afterwards to sue Fyre Festival organizer Billy McFarland, who plead guilty in March to fraud charges. Now two of those attendees, Mark Thompson and Seth Crossno from Raleigh, NC, have been awarded $5 million for hotels, flights, mental anguish, pain, and suffering, Vice reports. The two men initially asked for a $25,000 minimum and were each given $1.5 million in compensatory damages, plus $1 million for punitive damages. Crossno and Thompson reportedly spent $13,000 on “luxury VIP packages,” and frankly it’s hard for me to feel sorry for them considering that is an absolutely insane amount of money to spend on attending a music festival, let alone a new one with a barely solid line-up at the time of its announcement! No offense!!! Workers like Mr. Nicholson, the carpenter, were left unpaid. A father of three, he is owed nearly $5,000, and his lights and water have been turned off because he couldn’t pay the bills. “It’s killing me,” he said. Still, wow, kind of wish I had gone to Fyre Festival so I could file a lawsuit about how scarred I am by the whole experience!